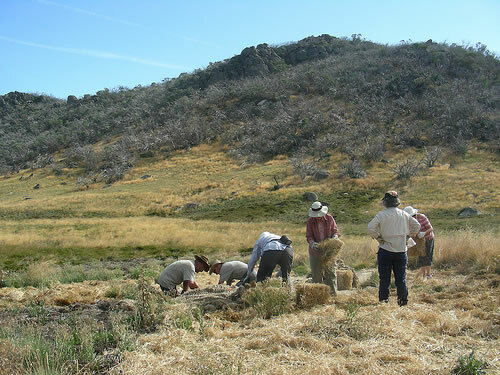 The Club has been involved in a couple of ongoing projects which have involved members volunteering their time and effort to support a worthy environmental cause – this has included the Regent Honeyeater Recovery Project and bog rehabilitation at Mt Buffalo National Park. Our club has also ‘adopted’ Youngs Hut on the Falls Creek plateau, and usually arrange a weekend or two there after winter in order to perform essential maintenance. This work is supported by donations from the High Country Huts Association and Bushwalking Victoria.